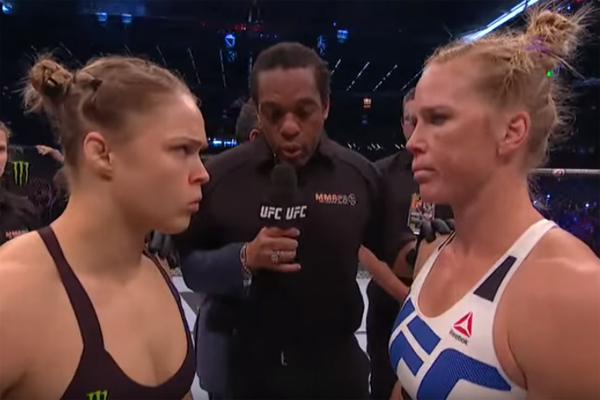 UFC CEO Lorenzo Fertitta recently confirmed that the UFC 193 event, which featured a main event of Ronda Rousey vs. Holly Holm for the UFC Women’s Bantamweight Championship, did more than one million buys on pay-per-view and as things stand now is already the third largest pay-per-view show in company history, and when all is said and done, could end up the second biggest. According to the latest issue of the Wrestling Observer Newsletter, UFC 193 is tracking at in excess of 1.1 million pay-per-view buys right now, although those are still early projections. Fertitta also claimed that if Rousey were to accept an immediate rematch, he expects that their second fight would beat UFC 100, which is still the most lucrative event in the history of the UFC in terms of pay-per-views. In addition to the pay-per-view success, and the all-time record-breaking attendance at Etihad Stadium in Melbourne, UFC 193 was also one of the most successful shows UFC has ever sold to bars and restaurants in North America, as they sold the show to 6,000 establishments, the most in UFC history outside of the Brock Lesnar vs. Cain Velasquez fight in 2010. As noted previously, the UFC 193 main event between Rousey and Holm was also the most bet on fight in UFC history by a wide margin, although a lot of that had to do with the fact that odds makers had Holm such a big underdog. The UFC 193 “Embedded” series on YouTube leading up to the fight did 38 million viewers across four episodes, also a record for a UFC event.